Last year prior too November the general public had no idea who George Groves (19-2, 15 KO’s) was. The most avid boxing fans knew him to be a good boxer most definitely one for the future. When the IBF made Groves mandatory for the super middleweight belt few gave George a chance, apart from the man himself that is. 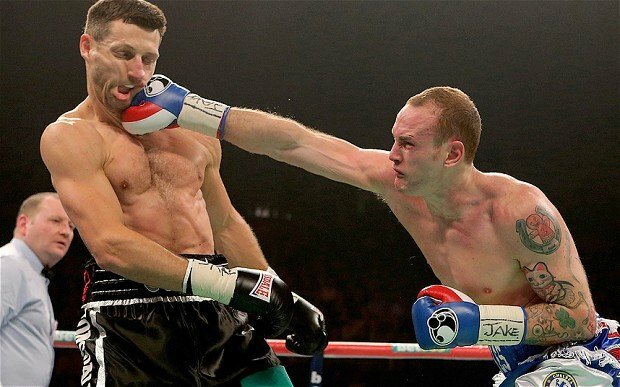 Groves was pitted as a heavy underdog not fancied against the granite chin and power of the experienced Froch. 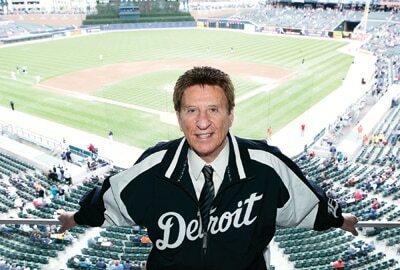 However George had other ideas. Dismissive of the champions achievements in the ring and his reputation, and confident enough to tell the media what he would do to Froch in the fight. George said he would show people he was good enough to be in the ring with the champion. He was dignified in saying so neither obnoxious nor bullying merely showing his immense confidence and self belief a stark change from how fighters usually hype their fights. 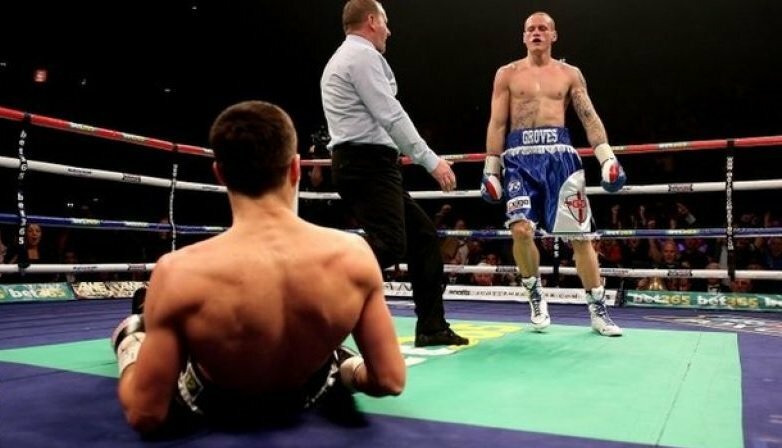 On the 23/11/13 in Manchester, the fans watched as Groves fulfilled his predictions using speed and power to beat the champion to the punch throughout and flooring the champion in the first round. Then came the much maligned stoppage after Froch’s arguably only success. Deemed unfit to continue the decision was widely derided and ended an exciting spectacle and possible upset. Groves lost but the performance earned him respect across the boxing world and an army of fans in the process. Heavily booed as he entered the ring on leaving, he was cheered by everyone. He managed all this despite splitting from his long-term trainer and manager Adam Booth just days before the fight. Determined to right the perceived injustice of the fight George pushed for a rematch, a fight his opponent openly stated he didn’t want. His charisma and honesty garnered substantial support and put pressure on the champion’s promoters Matchroom to deliver. Throughout Groves never let Froch forget he had the better of him. Groves gave Froch all he could handle in their first fight. Groves went further flying to New York to lobby the IBF board. Representing himself he stated his case and was duly obliged with Froch ordered to defend his belt within ninety days of the ruling. George also applied to the BBBofC for a manager’s licence so he could represent himself, at 26 a brave and unheard of move. After all this the biggest fight in British History was finally made. From then on George publicized the fight, playing mind games that had so affected his nemesis before and beating his drum to all that would listen, showing personality and belief in his cause and abilities. 80,000 people filled Wembley Arena, Carl Froch and Matchroom’s Eddie Hearn played their part but Groves through persistence and self promotion did more than anyone else to make the even the spectacle it was. We all by now know the outcome of the fight and credit where it’s due, no one would have got up from that right hand from hell, but Groves tried too showing unbelievable heart, he certainly didn’t let himself down. During all of the build up George showed immense self belief, intelligence and nous. Performed well in both fights and lost in a most dignified and truthful manner possible and for that he should be saluted. As a boxer he should be a role model for all boxers with a dream and a desire to win and compete at the highest level, he is a breath of fresh air we should be proud of him as a British fighter. For Groves to achieve what he has despite the adversities and to have the intelligence to manage and promote himself at such a young age is immense. He may have lost but he can walk away with his head held high again. Groves put up a good fight and got caught cold with a heavy shot from Froch, that’s boxing for ya!